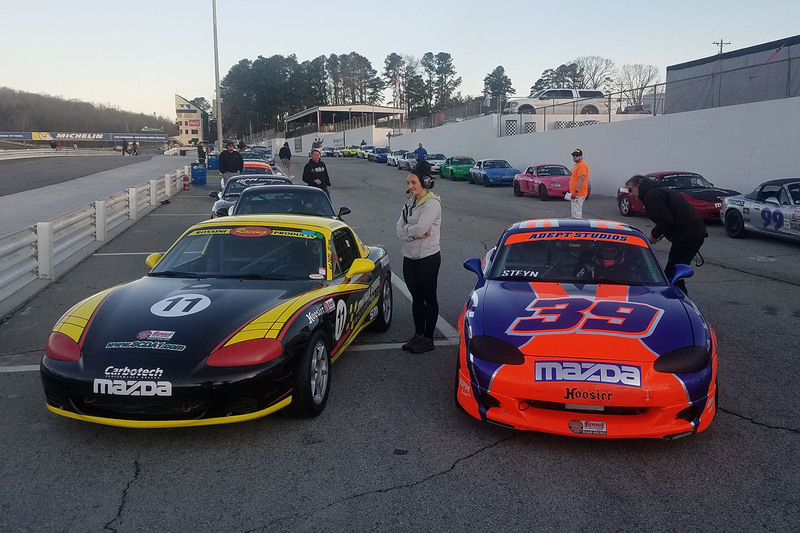 Road Atlanta played host to the fourth round of the SCCA Majors SE Conference this past weekend, and the contending SE drivers as well as a host of out-of-conference drivers showed up to measure their skills against the best in the country. 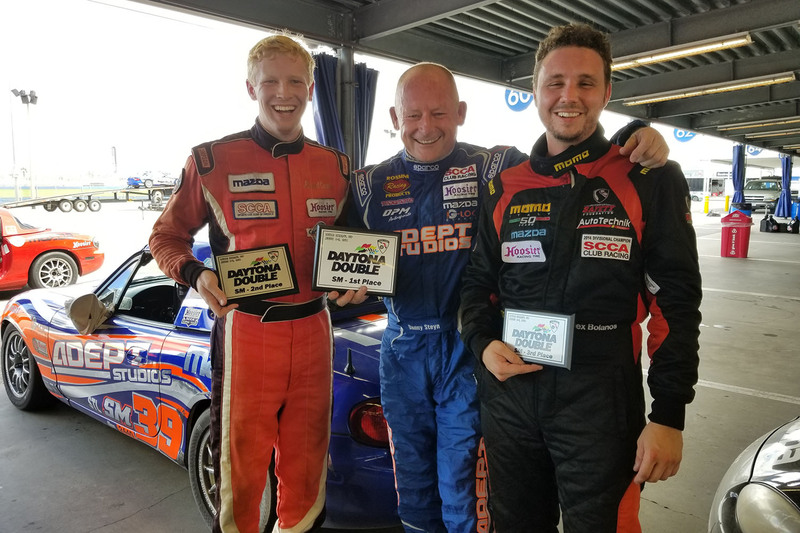 Two Runoffs champions were present to contest the ultra-competitive Spec Miata class:- Jonathan Goring who won the 2015 Runoffs in the rain under the lights at Daytona, and the current champion Preston Pardus who clinched the title at Indianapolis last year. 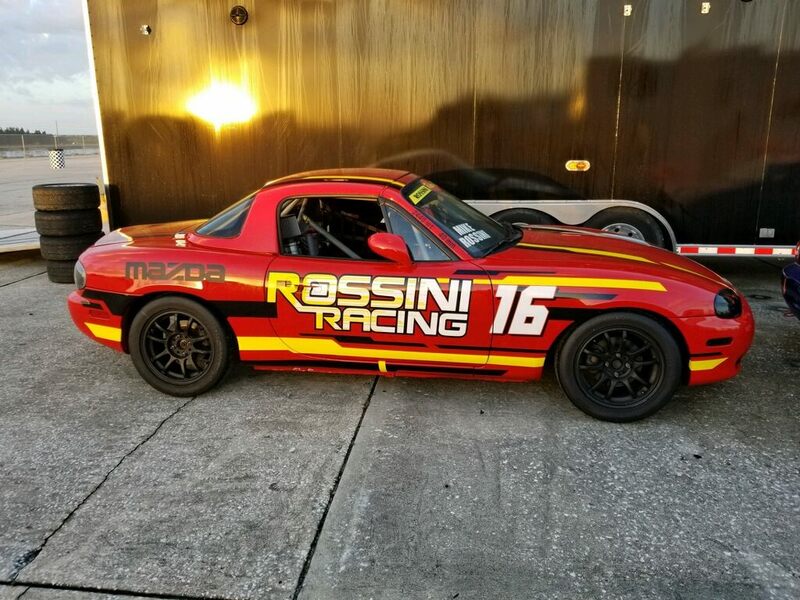 Rossini Racing was represented by several drivers including current Majors points leader Michael Carter, Jonathan Goring, Danny Steyn, Jason Connole, Brian Tone and Jarret Jones. With the lack of test day, qualifying was always going to be interesting, and then to make it even more challenging, it was run in damp to drying conditions that made tire selection critical. Steyn and Blake Clements went out on wets. Goring and Carter went out on sticker dry’s. 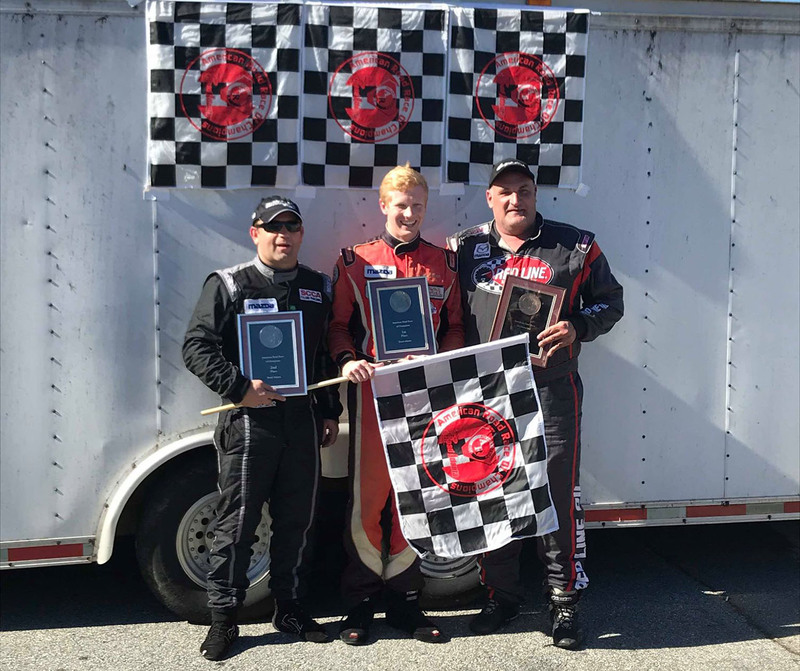 Steyn and Clements were the initial leaders in the damp conditions, but Goring came through on the final lap as the track dried, to lay down the pole with Clements on the outside pole. Steyn started in 3rd and Carter in 4th. 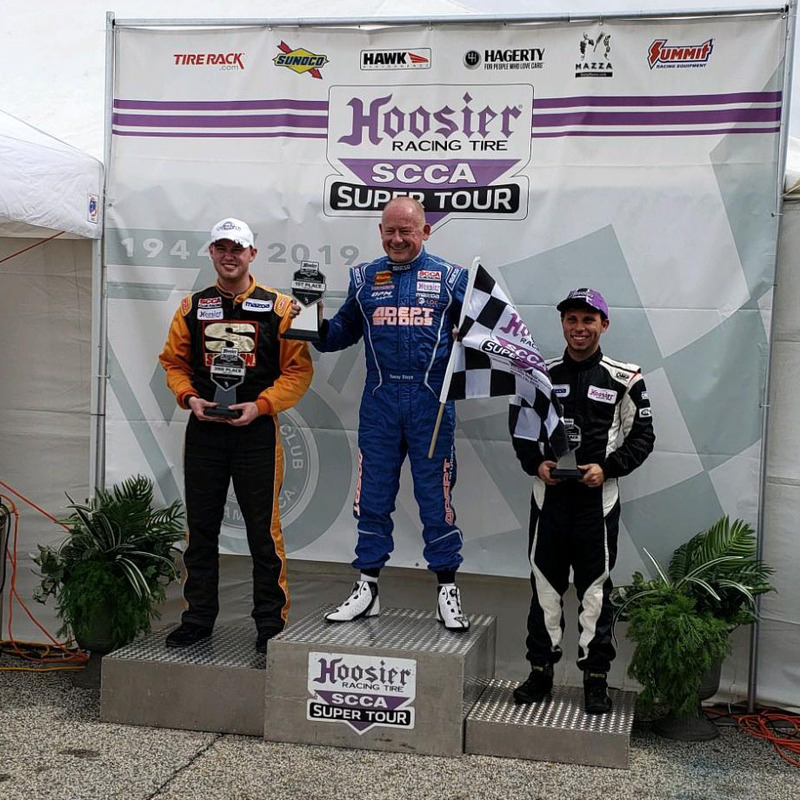 Jason Connole qualified 5th, Brian Tone in 7th and Jarret Jones in 10th. Four of the top 6 qualifiers were running Rossini engines. 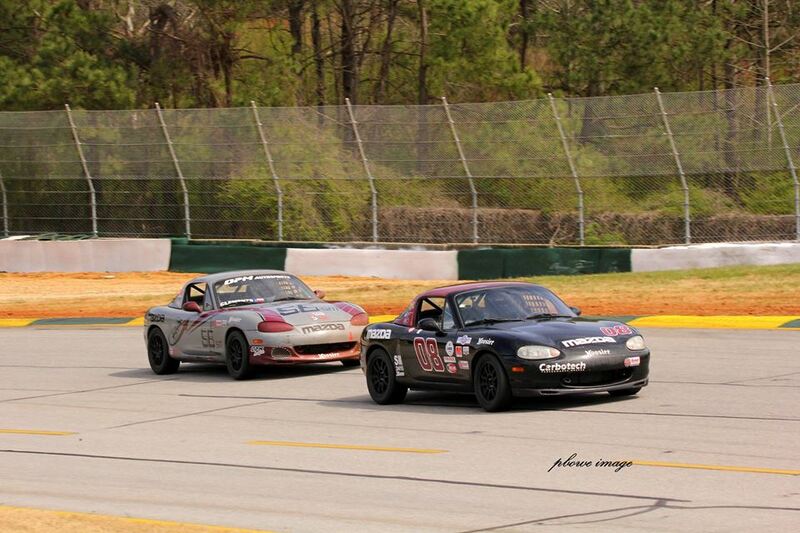 Saturday’s Race 1 was unlike any other Road Atlanta Spec Miata race in recent history and was a thrilling race for the spectators. 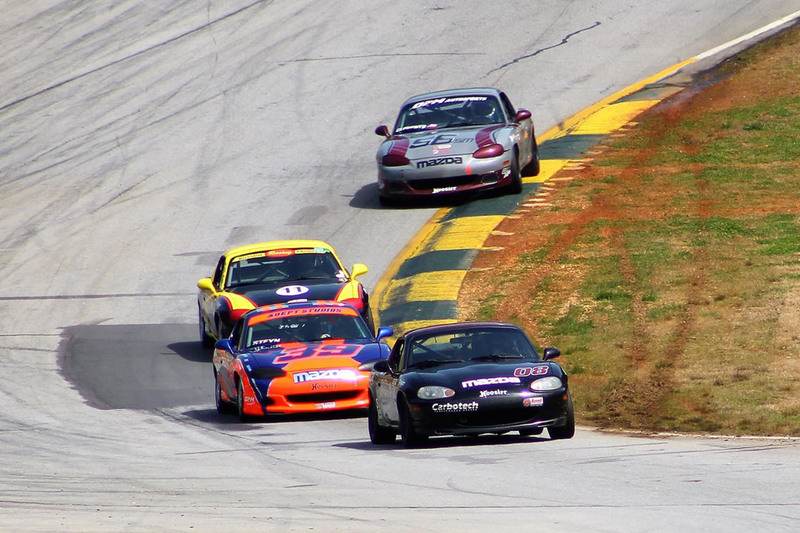 Spec Miata races at Road Atlanta are run in drafting formation, allowing the front two drivers to break away and compete for the win in the last two laps. But this race was a free for all at the front from the beginning of the race. Clements lead, Goring lead, Steyn lead, Carter lead. 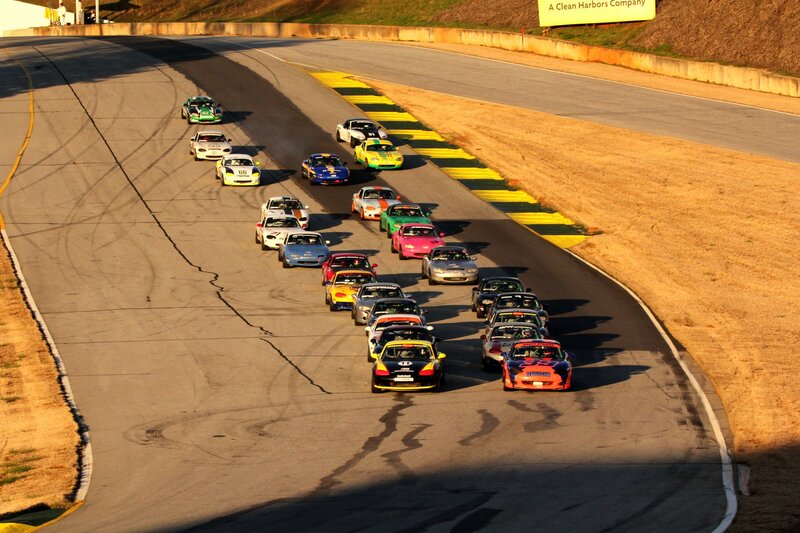 There were position change every almost every lap and the jockeying for the lead was super exciting. After Clements made a small mistake, the three Rossini drivers, Goring, Steyn and Carter broke away and it was anybody’s race with one to go. 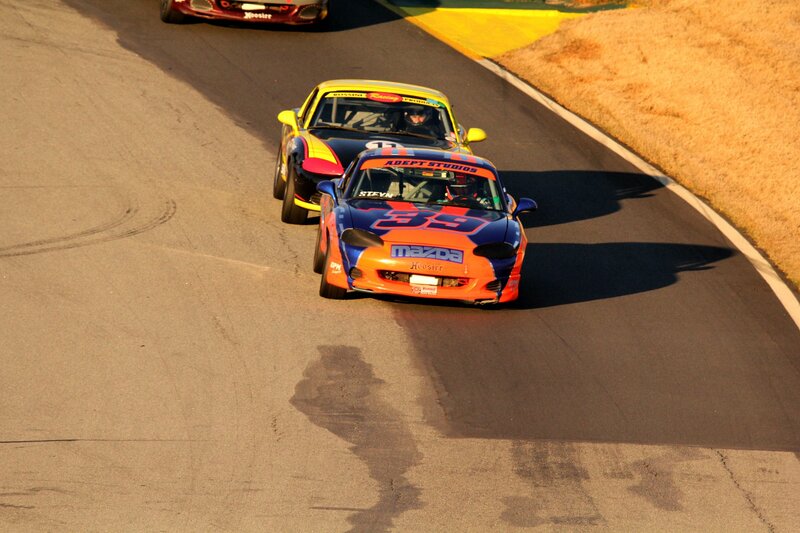 On the last lap Carter held the lead, Goring was in 2nd with Steyn on his bumper. Coming down the back straight Steyn got the pass on Goring,. Goring got it back in T10A and Steyn did the over under to pass Goring and finished 2nd to Carter. 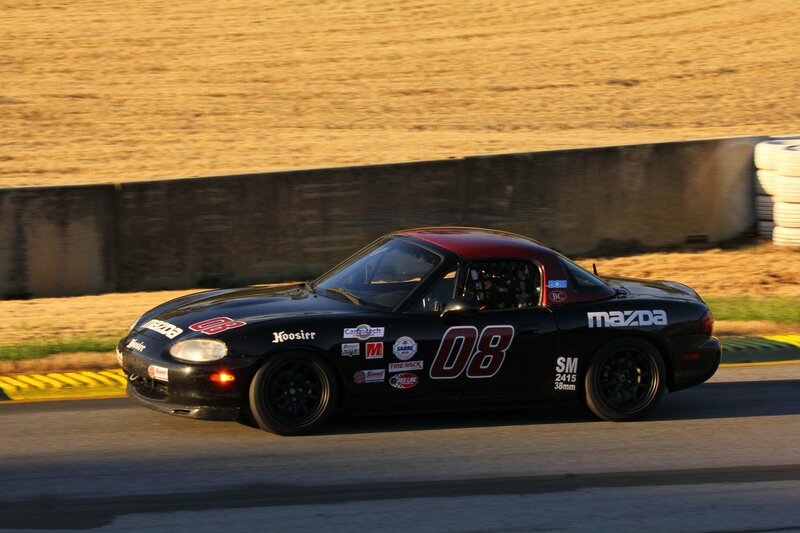 Goring finished 3rd, Clements 4th, and Jason Connole finished a superb 5th with Jarret Jones getting his first Majors Spec Miata Top 10 finish. 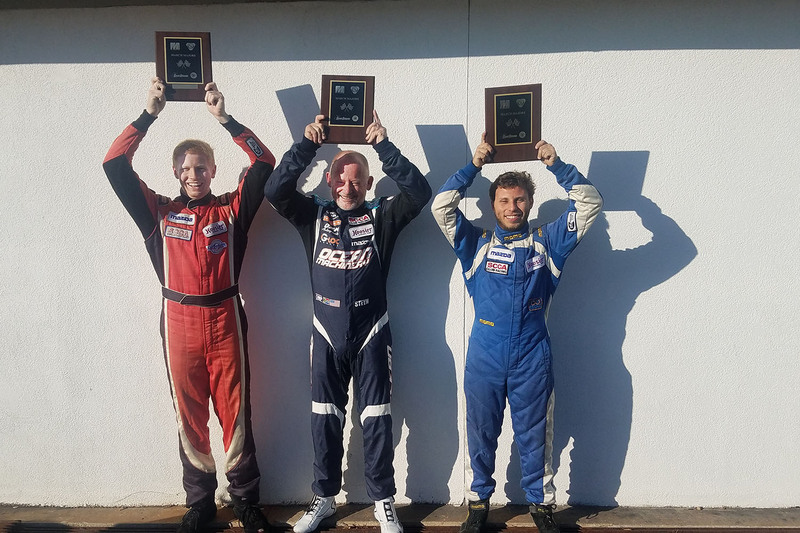 For Rossini engines it was a sweep of all three podium spots and 5 of the top 10. We call that a great day at the track. Since Q1 was in damp conditions and since the times from Saturday’s Race 1 counted towards the grid for Race 2, Goring found himself back on pole but this time Steyn was outside pole with Carter in 3rd and Clements in 4th. At the start, Goring got into the lead through T1 but Steyn was able to pass him back on the the run up the hill to T3 and led the first lap. Steyn and Goring led with Clements in Carter on their bumpers. Goring and Steyn switched the lead several times to keep their motors cool and then on Lap 10, Goring got into the back of Steyn in T10A and the front runners took evasive action as Steyn’s car slid sideways between T10A and T10B. 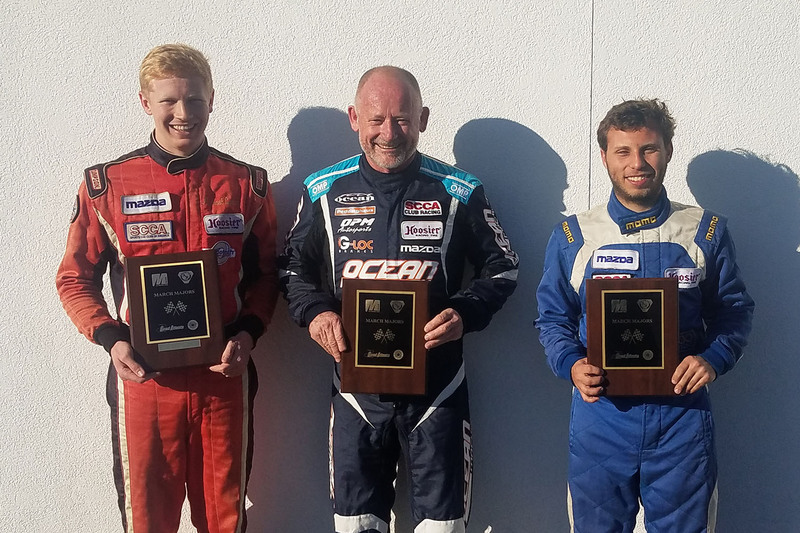 Carter shot past into the lead, Steyn gathered it up but Goring and Clements went for a long drive through the gravel trap, and Preston Pardus found himself in 3rd place. After the incident, Steyn had a four second deficit on Carter and proceeded to hunt him down, closing when traffic got on the way for Carter and losing time when traffic got in his way. Steyn started clicking off some really fast times and with one lap to go he was on Carters bumper, came through T7 on his tail, and drafted passed into the lead going into T10A. 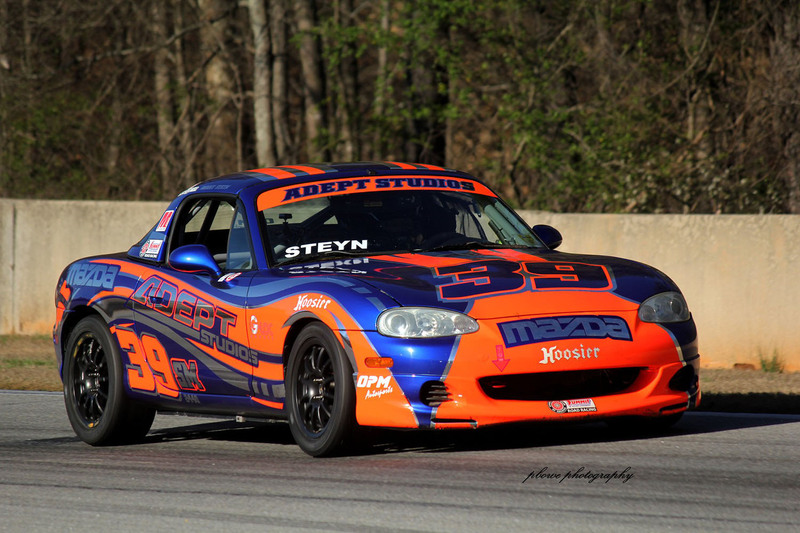 Steyn held the tight line under the bridge and came home for his 2nd win of the year with Carter in 2nd, Pardus in 3rd. Clements finished 4th, Connole 5th and Jones 8th for his 2nd top 10. Goring managed to recover and finish 12th. All in all a great weekend for our drivers and our engine program. 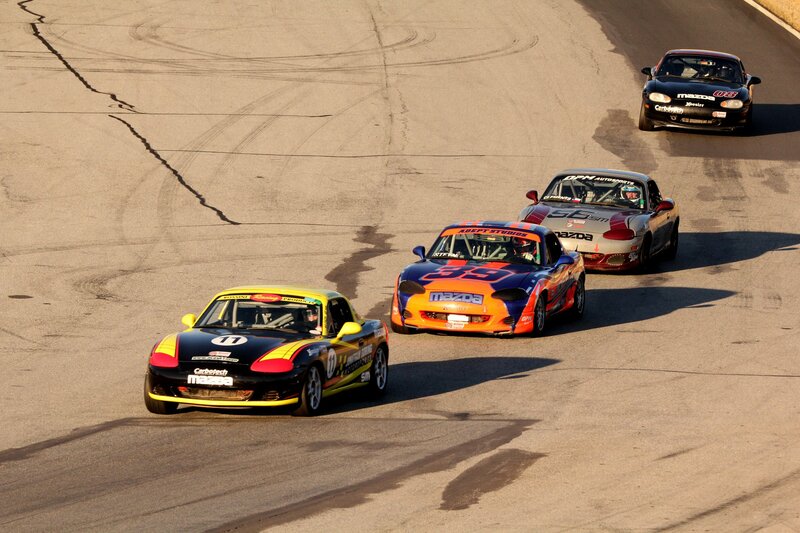 On to VIR on 3 weeks time for the Hoosier Super Tour.